Recently, on a stock-up run at my local wholesaler, I came across a species of butterflyfish that I haven’t seen in quite a while. 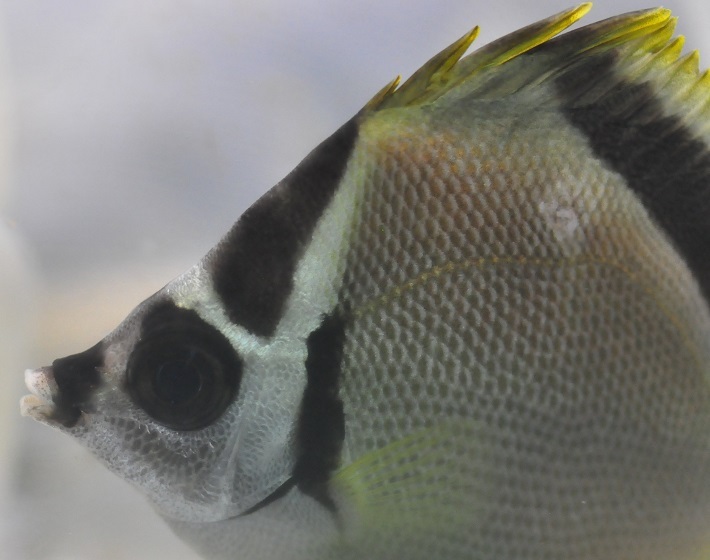 The butterflyfish was non other than Johnranallia nigrirostris (otherwise called by its common names: barberfish and black-nose butterflyfish). I ended up purchasing a pair for display. This species is not only a stunning specimen, but is also a most interesting one. It is the only species found in the genus Johnrandallia, which, incidentally, is named after the world-renown ichthyologist: John E. Randall. For those of you not familiar with Dr. Randall’s research and discoveries, you are really missing out. He has described over 600 species, published 11 books, and written over 670 scientific papers/articles. I advise you to check out his work! The barberfish can be found from the Gulf of California to Panama, including the Galapagos Islands. They have also been recently spotted off the coast of Peru! They can be found in fairly large schools living on rocky shores and reefs at depths of 6 to 49 meters. Their diet consists of crustaceans, algae, and mollusks. 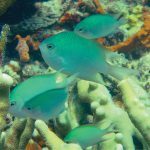 Barberfish are considered “reef safe” but it’s probably best to avoid adding them to your reef tanks. That is unless you do not mind your clean-up crew laying off some of its workers. Personally, I find the barberfishes’ most fascinating quality to be one of their behaviors. 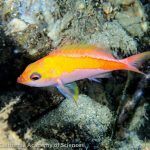 Just like that of certain species of shrimp, wrasses, and gobies, barberfish like to set up a “cleaning station” where they remove parasites from larger fish. 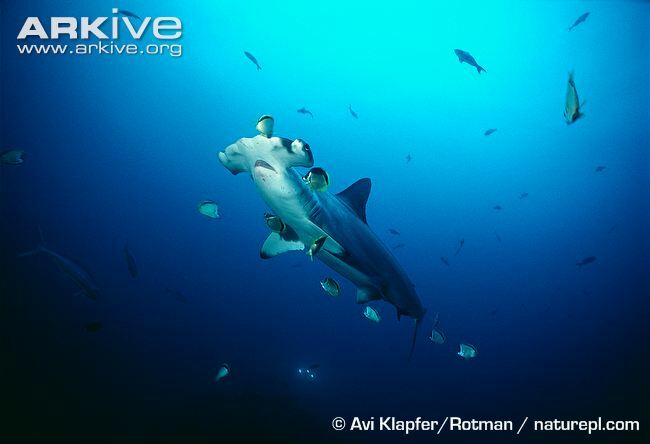 Their clients are usually of the elasmobranch origin; they seem to have a particularly close relationship with hammerhead sharks. It is quite common to dive the Galapagos Islands and see a hammerhead getting a shake-down by this black-nosed butterfly. Take a look at the picture above to see firsthand their spectacular relationship. 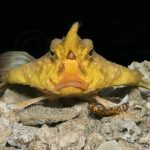 As with all new fish, you must quarantine barberfish before adding them to your tank, to avoid introducing diseases or parasites to your system. 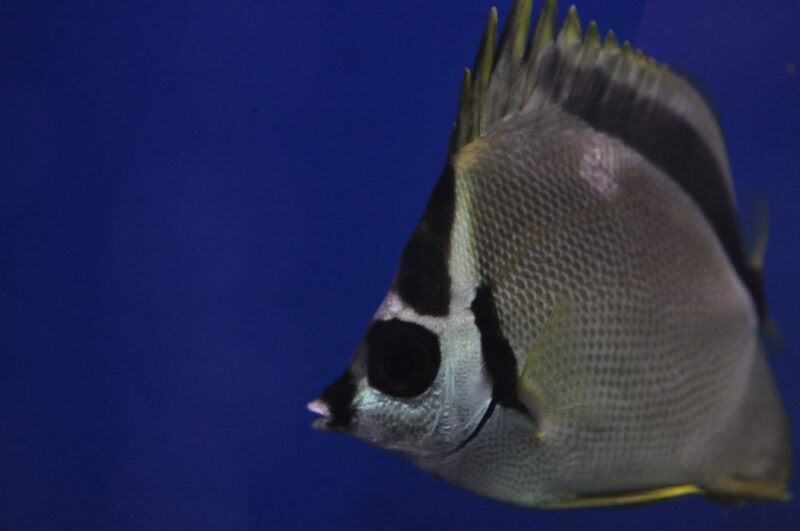 These butterflyfish do well with copper treatments and freshwater dips, and quarantine is also a great way to get fish adjusted to whatever prepared diets you want to offer. Considering that these butterflies regularly feed on crustaceans, it shouldn’t be too hard to get them to feed on mysis shrimp. In my brief experience with keeping this species, I’ve come to know that they are a relatively hardy fish. My pair started eating frozen foods from the start, and they will also gobble up mysis shrimp and cyclopeeze. Although they do not seem to be very keen on pellet food, I believe that they can be convinced with time. Nigrirostris is a fairly docile species and should get along great with tank mates, but, as a precaution against possible problems, I would advise against adding them to a system with similar-shaped butterflies. 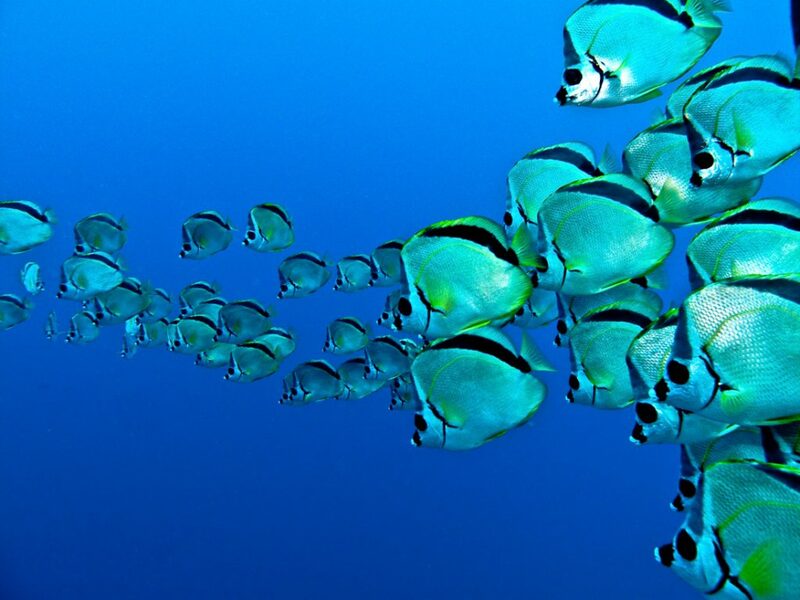 If you are a butterflyfish fanatic, and must have several different butterflies in one system, be sure to closely monitor their behaviors towards each other. 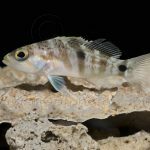 Also, as I mentioned earlier, nigrirostris is a cleaning fish, so it may very well “set up shop” somewhere in your tank. You may also want to keep an eye on interactions with intraspecific species to see whether or not tank mates are becoming aggressive towards nigrirostris. My opinion is that the barberfish is an excellent addition to almost any saltwater fish tank. They are a very impressive species; they look like a deep-water butterfly but carry a cheap price tag. I rarely come across this fish, and I believe that it is because most people want a more “colorful” species, such as Chelmon rostratus or Chaetodon lunula, in their tank. 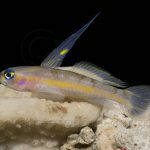 I hope to see more of this unique, fascinating fish, and I know we here at the Long Island Aquarium will be adding more barberfish to our collection soon. Lionfish in the Mediterranean? Here we go again! The Goose Barnacle…did we really believe such nonsense?